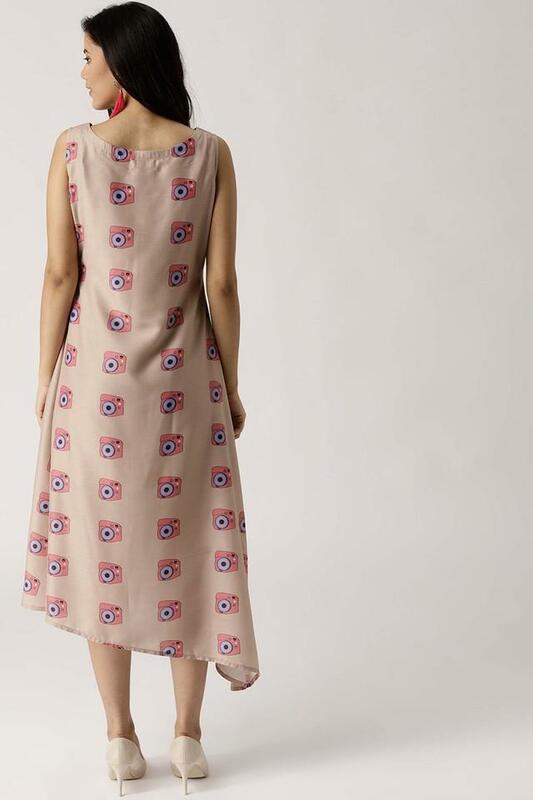 Make an exciting choice for a casual outing with this simple, A-line dress from Libas. It comes with a printed pattern and boat neck along with a perfect fit design gives an attractive look. Crafted from a polyester fabric, it promises an easy maintenance and will give your attire a structured design. Pick a casual style that spells freshness, simplicity and comfort with this A-line dress. Create a sophisticated style by teaming this dress with a pair of strappy sandals.